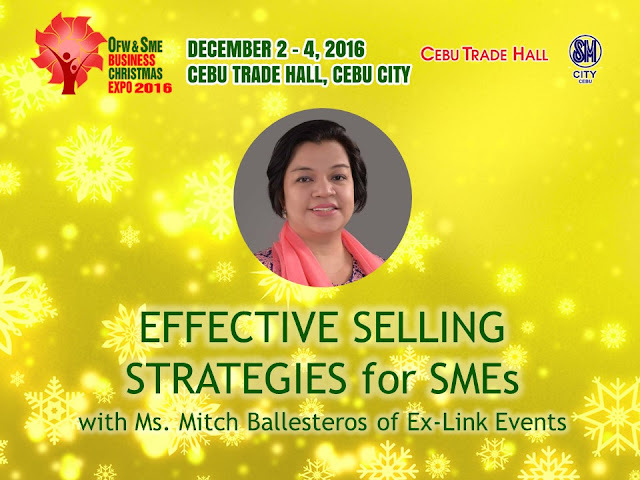 Know Effective Selling Strategies at the OFW & SME Business Christmas Expo! As part of its 15th anniversary, Ex-Link Events holds its first OFW & SME Business Christmas Expo in Cebu - and with this event, we are bringing the Ex-Link team who will share tips and ideas on how to develop your business. This Sunday, December 4, catch Certified Professional Marketer for Asia, Rotary Club of Mutya ng Pasig All-Star President and Ex-Link Events' Chief Executive Officer Ms. Mitch Ballesteros as she shares Effective Selling Strategies for Small and Medium Enterprises. Joining Ms. Ballesteros are resource speakers who will share the basics of Email Marketing and Social Media. 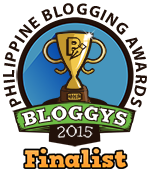 Everyone is invited, admission is FREE, and on a first-come, first-serve basis. For reservations, contact 0920 294 2532.